DALLAS, April 3, 2018 — Research into how stress affects the brain and how these changes may affect the heart and translational research focused on molecular signaling by the heart both got significant support from the American Heart Association. The American Heart Association issued two Merit Awards, each totaling $1 million to be distributed over five years, to two innovative researchers: Walter Koch, Ph.D., the W.W. Smith Endowed Chair in Cardiovascular Medicine from the Lewis Katz School of Medicine at Temple University, and Michelle Albert, M.D., a professor of medicine and the director of the Center for the Study of Adversity and Cardiovascular Disease at the University of California, San Francisco. “For me personally, this award means a lot in terms of being recognized by an organization I love and am committed too. Further, it provides critical support for an exciting project – it appears the heart is an endocrine organ secreting substances that can regulate distant tissues and organs,” Koch said. Albert, a cardiologist with expertise in preventive cardiovascular medicine, specializes in managing the most critically ill heart patients suffering a range of conditions, including coronary artery disease, heart valve disorders and heart muscle issues. 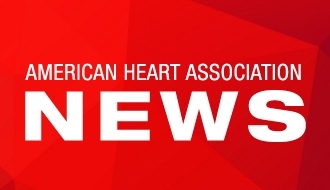 “The American Heart Association’s Merit Award will help facilitate a targeted obesity intervention focused on social determinants of health using a pragmatic public health approach in collaboration with the YMCA-San Francisco. We are interested in answering important, clinically relevant patient-centered questions and are focused on obesity and adversity among socially disadvantaged persons,” Albert said.